Tracy is the other half of BookDesignTemplates.com. He’s also an author and a technologist, whose last post here was X Hits the Spot: Why .DOCX is Better than .DOC for Authors Using Word. Although we’ve been able to wrangle Microsoft Word into producing great-looking print and ebooks, authors have faced quite a challenge if they want to produce picture books for the Kindle and other ereaders. Taking all the experience gained this year from producing the 14 book templates available on the site—for fiction, nonfiction, and children’s books—Tracy has now managed to create a template that will make this possible with a minimum of fuss. We call this template design Fable. I asked Tracy to explain just how big a breakthrough this is for do-it-yourself authors, and to explain how it works. Today, Saturday, Sunday, and Monday you can get 20% off any template on the site by using the coupon code LD20. When you’re finished shopping, just enter it in the “discount code” box in your shopping cart, then click the “update cart” button. Yes, if you buy a children’s book template, you’ll get 40% off plus an additional 20% off for the Labor Day weekend. Pretty sweet. So help us celebrate, and get yourself a real deal on a template that will help you create a great-looking, industry standard book with Microsoft Word. Here’s Tracy’s article on what makes Fable tick. Until now, picture eBooks have generally fallen into two distinct formats: fixed or free-flowing. Most eBooks today are formatted with a free-flowing layout, where text and images run from page to page with only marginal control of how the pictures and text mingle on the page. This works great for fiction and non-fiction books alike, but it falls short when an author needs precise control of the page layout for a picture book. Free-flowing eBooks have also become a self-published author’s standby because they work on the widest variety of devices and are easy to make since you don’t have to do a lot of programming. On the other hand, fixed-layout eBooks are less common, but look great on the screen. Rigid programming requirements and graphical precision deliver a high degree of control over how the page looks on the eReader, but the file is often limited to certain devices or formats. It typically takes a lot of expertise to create a fixed-layout eBook for every platform and a lot of work goes into creating one. With strict limitations on style and compatibility, most picture book authors resign themselves to hiring professionals to develop several versions of their picture eBook in fixed formats. Other authors simply give up and release free-flowing picture eBooks and hope that readers understand which pictures and text are supposed to go together. Stuck with only two choices, self-published authors have found that there was really little choice at all, with no compromise between artistic vision and ease of creation. Giving authors choices and making self-publishing easier is our driving force, so we set out to build a solution that would best serve DIY picture book authors. Our new Fable picture eBook template is the culmination of all of the experience and knowledge we’ve gained from developing our full template line, pulled together to provide an easy way to make picture eBooks at home. With Fable, we have created a new hybrid format that combines the best of both fixed-layout and free-flowing eBook layout styles in one template. It is a breakthrough that offers both control of how the page looks, with the compatibility to work on a wide range of devices. And best of all, it is easy to use, taking most of the guesswork and frustration out of creating your own picture eBook. Your picture book’s layout in Word translates safely to the screen of your favorite eReader device. Pictures and text stick together and what you see in Word looks similar to the output of what you will get on the eReader’s screen, giving you much better control over how the book will look in final eBook form. To further simplify things, we include all of the tools you need to help you build a better picture eBook, right in the template package. Instead of complicated specifications for your pictures, we include four image templates that you can use (and re-use) to make sure your pictures fit the screen just as you intend. We also include a handy reference table that shows you how many lines of text are safe to place below your pictures to get the best results on all of those eReader devices. Finally, we have put together several new pages of fully illustrated instructions in our updated Formatting Guide to make putting it all together a breeze. But what about the finished eBook and how will it look? When it comes to eReaders, screen size matters and devices can range from touch-screen tablets and PC monitors, all the way down to tiny smartphone displays. Fable can adapt to various screen sizes in two ways. For larger screens, like the Kindle and Kindle Fire, the text mimics the semi-fixed layout style in Word, where the large image above is accompanied by the large format text below. When viewed on a smaller screen, where all of the text won’t fit under the picture, the picture book displays the image in one page and the text on the following page, just like a two-page-spread picture book. By combining the control of a fixed-layout eBook, and offering the flexibility of a free-flowing eBook, we have created the perfect combination of features needed to deliver a great looking picture book that works on a range of devices that readers use every day. our fully illustrated Formatting Guide to make putting it together and publishing it easy. Fable picture eBook template, on sale at 40% off until Monday night, and take an additional 20% off everything on our site with coupon code LD20. All sales end at midnight, Pacific time on Monday, September 2, 2013. Which template do you recommend for a current 125 page e-book with some 80 photos? I need a template that will maximize the photo to fit as much of the displaying page along with occasional description text. I am a published author and considering ebooks for two of my books for children. I just contacted my design person to assist me with the project and would like to see a sample book using your picture book template. Hi Joel and Tracy…what is the maximum resolution that can be published on Kindle? On fable? Thank you! I have my Kindle book illustrations ready but they are landscape. Their size is A4 x 2- Two A4 pages attached. The pictures in your template are a different size than mine. Can I still use your template? Do I need to resize my original illustrations if I want to use your template? Can I use fables for word for mac? Sure, Mark, all our templates work in Word for Mac or Windows. The pages of my photo book (previously published for the iPad) look best in the “landscape” horizontal format. Can your program allow that. Your examples are all in the “portrait” vertical position. Please advise as I want to create a new version for Kindle and similar non-iPad devices. Which template can be used to format my poetry book-both print and eBook. I have already used and am happy with your non-fiction template Britannia and eBook which I used for CLASSICS: Why you should encourage children to read them. That is a great question and I am glad you brought it up here. The Kindle Comic creator is a purpose built app that is geared toward manga and graphic novel artists who want to convert digital or print comic panes to Kindle. Fable, by contrast, is geared toward authors who want to have a semi-fixed layout that includes images and dynamic text below, that can be used on any number of devices from Kindle to iPad, Nook, Smart-phones, etc. So Fable is platform agnostic. In addition, fable allows easy integration of text that can be re-sized dynamically by the eReader device, while the image is semi-fixed for resolution. Kindle comic creator by contrast creates a book that is more of an image “collage” or “slideshow”, which is appropriate for comic content. Both are purpose built, and do well for their intended audiences. Thanks for getting back to me, Tracy. I can see the value in being able to scale the text with the e-reader. That’s a good point. Thanks again. That’s the reason, John, that it doesn’t make sense, for example, simply to have a JPEG of your print picture book page and let the words simply be part of the image. The text can become unreadably small — which seems counterproductive with a children’s book! Can you explain the advantage to using your layout over Amazon’s free Kindle Comic Creator app which seems to do the same thing? Does the advantage come down to aesthetics which aren’t guaranteed with Amazon’s app? Do you know, I’ve been playing around with trying to create fixed-format (full-bleed, full spead) books for Kindle. It’s possible, but not easy, and the results are really uneven. So a clean, image-over-text layout makes a lot of sense — and this is a nice one. If you would like an image on one page, and text on the next, any of our normal eBook templates should accommodate you well. Simply page the image on one page, then place a page break after it, and put the text on the next page, and a page break after it. Of course, follow the template layout instructions for inserting centered images, and properly styled text too. Feel free to contact us through the support contact form on the template website if you need a hand or advice. Is this template adaptable for adults non-fiction books which need more lines of text than the eight lines shown on the template? FABLE sounds perfect for my needs…thanks for making it available. My question expands Zoe Brooks’s concerns. Can the entire page following a full-page image be dedicated for text? What are the line limitations per page? Will graphically-created fonts revert to Times New Roman in a prepared image when embedded? Graphically created fonts will not change or revert to a different typeface. They are considered graphics and cannot dynamically change. Great questions! Fable is designed for children’s books with larger text. That said, we have had a lot of demand for an adult formatted version and will likely create one in the near future. The current setup of Fable is to supply an image that takes up most of the screen, with text below, which is standard for a children’s book. Only when the text won’t fit the page, like on a small phone screen, does the text go to the next page. Our current non-fiction eBook templates will actually allow you to do an Image on one page, text on the next, layout quite easily, by inserting a break after each image and text section. So unless you are looking for a semi-fixed layout, our current eBook templates might serve you best. Is there a free kindle book that we can download that was created with this template so we can see it in action? That would be great! RoByn, great suggestion, I’ll see what we can put together as a sample book using the Fable template. Think about going to a family reunion or special occasion with many pics being taken. Wouldn’t this be a great way to put a story book together with comments, publish on Amazon for $0.99 for attendees to cherish the event. Issue for some might be anyone could buy it. It would sure be cheaper than a Kinko’s printed color book like many do now. Or a remembrance of one who just passed. A high tech funeral where everybody brings pics, scan them, put the book together with comments and publish for a limited time. Or put the ePicturebook on a pvt website with password protection to keep it more private. Hey, sell your template to funeral homes to offer a new service. I just used Bomber ebook template to publish my first short story in a series. It was part of Joe Konrath’s blog “8 Hour Winner” offering. He got 140+ authors to submit their stories. Start-to-finish, 8 hrs, including make the cover and upload on Amazon Kindle. Still waiting on Kindle to release/publish mine. Pls search Kindle for CARJACK KIDNAP, pay $0.99 read and revue. Great story about how a K9 solves the mystery and internally will look better than anybody’s thanks to you and Tracy. You rock Jeff! You put together a nice book, and I am glad we were able to help your meet your goals. Thank you for being a great customer. Jeff, fantastic idea, thanks for that. And good luck with your new story! Hi Joel and Tracy, I just now read your post, purchased “Fable” and told my students about your Labor Day weekend sale on templates and 40 percent off sale on children’s book templates. (I teach an online course on children’s book illustration, using traditional painting media.) I think your template designs (I keep wanting to call them ‘themes’) look great! One question: Do they only work with MS Word and .DOCX — or do the templates also work with Open Office word docs, too. 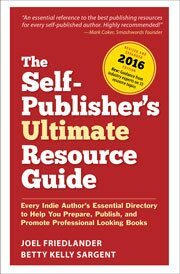 Thank you for your great book design blog — and the beautiful templates you offer to the publishing community! Mark, the templates use a number of features in Word that simply aren’t available in Open Office, so the print book templates will not function properly. The ebook templates may work better, and it if you try them out, we’d love to hear your results. Your templates all seem to be for portrait layouts, what about landscape expecilly for photos? Would like to make the photos as large as possible and display in landscape mode. Yes, that would limit the available readers to color and higher ppi screens. Fable is set to be a portrait style eBook, but some template formats we offer can be adapted to landscape if need be. Please feel free to contact us at our support email and we can help you find a solution. Yes – Don, I agree. I have clients who do landscape books. I have been experimenting and Kindle seem to expect much larger file sizes now. I see the only landscape template is 300 x 200 dpi think that’s what it says – it’s not very clear) which is no quality at all. Does anyone actually answer these questions? Adrienne, the 300×200 px image isn’t for landscape use, it’s to give authors a small picture size on pages where they want more lines of text. Oh, you do answer them! Fantastic. (Sorry – that sounded a bit rude – it’s just that some forums just have lists of people’s questions and no answers.) I have several clients who have landscape picture books and the only way to do them is to insert a whole jpg per page. would this template work for that? The file sizes need to be kept at at least 250 to 400 kb each. Thanks. Similar to what Don ia asking I guess. Hi Don, good question. Tracy’s away for the long weekend, but I’m sure he’ll want to address this next week. Guys, this is great. Now, can you do something similar for poetry? When the placement of a line on the page is important — indented, non-wrapping — free-flowing ebooks won’t work. And sometimes the physical shape of the poem adds to its meaning. Is there any way to create a rectangle (for instance, the margins of a 6×9 page) within which lines can be fixed? Or do I have to use PDF? If so, do you know of any tutorials on making a good-looking PDF? Lee, the best answer for poets concerned with line endings, “negative space,” and poem typography is the fixed-layout ebook. You can create these with tools like iBook Author from Apple, or you might check vendors who specialize in this kind of ebook, like Ron Martinez’s Aerbook.com. Really good idea. I get asked picture book questions all the time and usually respond that authors need to experiment with the size of their images and whether they want a specific amount of text to accompany each image screen or if they’re flexible. Plus they need to see how the results look on different devices. Needless to say, it’s been a lot of work for authors trying to get their books to come out right. This should help bunches. Thank you for sharing. Yep, saving authors tons of time and frustration is what these templates are all about, thanks for the input, Jason. Excellent, Joel and Tracy! I shared! 🙂 Keep up the great work. WRITE ON! Thanks, Karen, and congratulations on getting your books into print. Illustrated books are quite a challenge for most self-publishers, and yours look like they turned out well. I’m hoping that the Fable template will encourage more authors like yourself to move these books to Kindle and other ereader platforms.